The Doughbot app works with Instagram, Yelp, and Yahoo to find the doughnuts nearest to you. 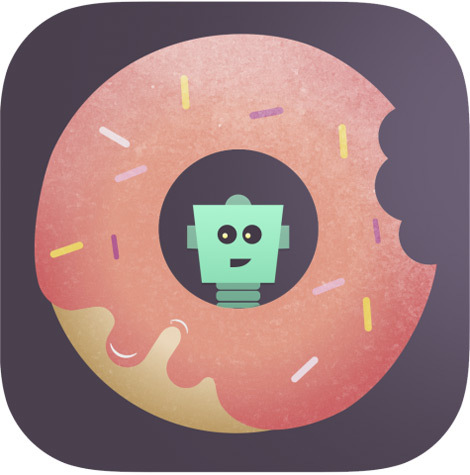 With a new $0.99 app called Doughbot, you will never be without doughnuts again. Why is this important? Because new doughnut shops with flavors from matcha green tea to foie gras are popping up every day, and you need to stay on top of what’s hot and exciting in the world of fried dough. The app works with Instagram, Yelp, and Yahoo to find where the nearest doughnuts are to you, wherever you may be. The app—which launched at the end of March—lists the doughnuts from closest to farthest, and each option displays Yelp reviews and photos. So no matter if there’s a local bakery selling doughnuts nearby, or a side-of-the-road stand shilling fried circles of deliciousness, you’ll know thanks to the app. Huffington Post reports that Apple has selected Doughbot as one of the best new apps in the food & drink category. The only thing left to do: download Doughbot for yourself and get searching. But first, watch the app’s trippy promo video below. Doughbot Launch Video from tim tolbert on Vimeo.